Amazon’s FreeTime is a subscription that gives kids access to a collection of over 10,000 movies, apps, games, books, and audiobooks from trusted sources. Amazon bundles a year of FreeTime with its Kids Edition Kindle, Fire Tablet, and Echo Dot, but it’s also available as an app you can download on an iPhone, iPad, Android phone or tablet, and regular Kindle, Fire Tablet or Echo Dot. One of the reasons I’m quick to recommend the Kids Edition versions of Amazon’s Kindle, Fire Tablet, and Echo Dot is because they’re bundled with a year of access to Amazon FreeTime. FreeTime is a subscription that allows kids from age three to 12 access to tens of thousands of age-appropriate apps, games, books, audiobooks, movies, and TV shows. And this content doesn’t come from random sources — it’s from trusted names like Nickelodeon, Disney, PBS Kids, Sesame Street, and Cartoon Network. 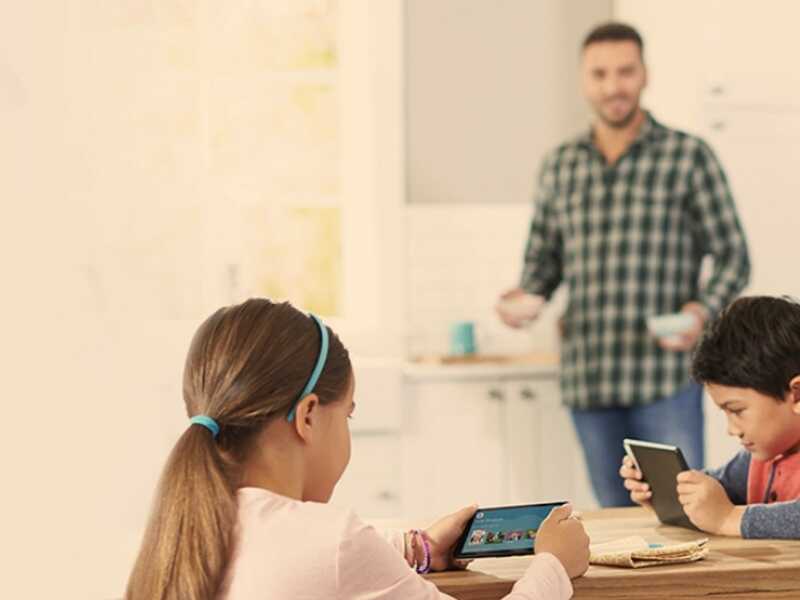 Although it’s bundled with Amazon’s kid-friendly tech, the great thing about FreeTime it’s also available as an app or skill that you can install on an iPhone, iPad, Android phone or tablet, and regular Fire Tablet, Echo Dot, or Kindle. A single subscription will work across all devices, so you only have to pay for one subscription to access FreeTime everywhere. If you’re planning on handing off an older device (or even a new one) to to a younger family member this holiday season, installing FreeTime is a great way to make sure they’ll never be bored. Beyond unlimited access to age-appropriate content, FreeTime also includes parental controls, which let you limit your child’s access to certain types of media, set time limits, or quickly peek at what they’re up to on their device. This lets them feel free to explore the apps, games, and other media that they’re really interested in, without feeling a parent hovering over their shoulder. FreeTime’s parental controls are so good that they make other tech companies, including Apple and Google, seem years behind. Your kid doesn’t have to spend all of their time on their device inside of FreeTime — inevitably they’ll want to read a book outside of its library, or play the latest viral game — but a subscription will keep them safe from having free reign on the internet or app store. If you’re a parent who’s about to give your kid their first gadget, this three-month deal on FreeTime is the best $3 you can spend. Your kid gets access to a collection of over 10,000 movies, tv shows, books, audio books, apps, and games, and you get the peace of mind to let them enjoy it all without being worried about what they’re doing.